(VFO) and Junior Orchestra (VFJO) programmes in 2019.
been selected for the Academy’s instrumentalist, voice and conducting programmes. 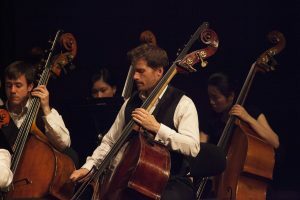 Instrumentalists and conductors were selected through a video selection process by a panel of anonymous musicians and experts in the musical world. Singers were auditioned live in Berlin, London and New York. Eight instrumentalists have been chosen for each of the VFA’s piano, violin, viola and cello programmes and two string quartets have been selected for its chamber music programme. Soloists who will be aged 16 to 28 during the Academy were eligible to apply. Four musicians aged 13 to 15 have also been accepted as ‘Students-in-Residence’. These very young promising musicians attend masterclasses, rehearsals and performances and, when possible, have classes with Academy faculty. After a successful pilot programme in 2018, the VFA’s Conducting Mentorship Programme – created upon the arrival of Valery Gergiev as Music Director of the VFO – received more than 100 applicants for four positions. The young conductors will be mentored by Maestro Gergiev and by the Festival’s distinguished guest conductors. Renaud Capuçon, María Dueñas, Sheku Kanneh-Mason, Yoav Levanon, George Li, Lawrence Power, Quatuor Arod, Quatuor Ébène and Louis Schwizgebel. 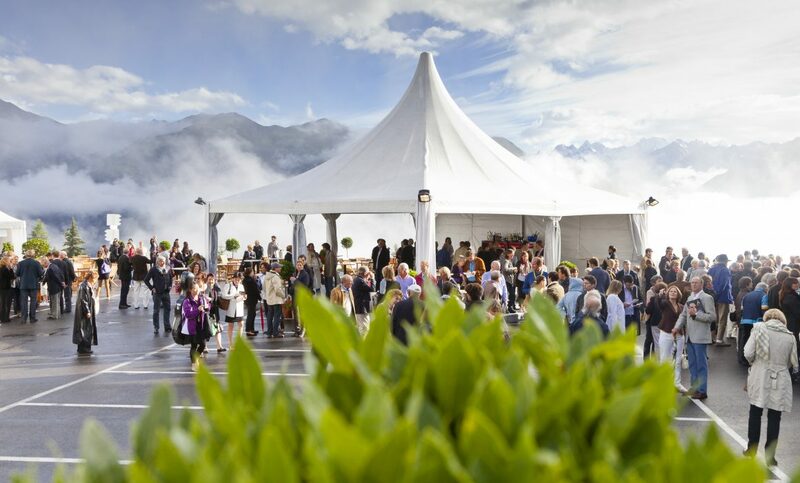 The Verbier Festival Orchestra programmes offer young musicians the opportunity to learn, develop and network as an integral part of the Festival. Live auditions were held earlier this year in Berlin, Cologne, Geneva, Moscow, New York, Paris, Philadelphia, Rome, St Petersburg, Vienna, and Zurich. The VFO, which includes 97 musicians aged 18 to 28, re-invited 55 musicians from its 2018 roster. The 1,101 applicants to the 2019 programme competed for the 42 positions which remained. The VFJO, which includes 57 musicians aged 15 to 18, invited back 13 musicians from its 2018 roster. The remaining 44 positions have been filled from the programme’s 197 applicants. Once accepted, musicians may, upon re-invitation, take part in their respective orchestra programmes for two (exceptionally three) years without re-auditioning. This year, the VFO marks 20 years of fruitful collaboration with New York’s Metropolitan Opera Orchestra. For two weeks again this summer, VFO musicians will receive intensive coaching from principals of the MET Orchestra in preparation for three weeks of rehearsals and concerts with VFO Music Director Valery Gergiev and guest conductors Manfred Honeck, Fabio Luisi, Lahav Shani and Franz Welser-Möst. 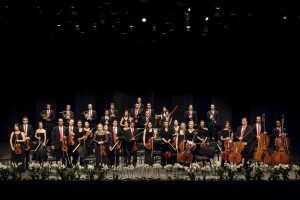 The Orchestra’s alumni have gone on to join leading orchestras around the world, including Berlin, New York and Vienna Philharmonics, Metropolitan Opera Orchestra, Russian National Orchestra, and Tonhalle Orchester Zürich. Musicians of the VFJO are coached by a roster of established orchestra members from around the world, many of whom are former musicians of the VFO and who now perform in orchestras including London Symphony Orchestra, Luzerner Sinfonieorchester, Orchestre de Paris and Frankfurter Opern- und Museumsorchester. Over three weeks, these young musicians learn, rehearse and perform in Verbier and Le Châble. They perform two symphonic concerts and one opera during the Festival. 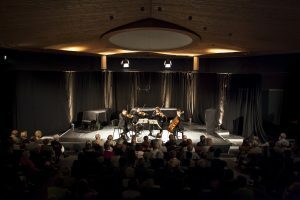 More than a third of the Verbier Festival’s annual budget is dedicated to its Artist Training Programmes. The cost to train each VFA and VFJO musician is CHF 10,000. For the five-week VFO programme, the cost to train each musician is CHF 25,000. The Festival seeks donations from individuals, foundations and sponsors to cover these costs. Scholarships of CHF 3,500 are sought to off-set VFA and VFJO tuition costs, while scholarships of CHF 5,000 support VFO musicians. Donations can be made through the Friends of the Verbier Festival. The Festival’s two Principal Sponsors are fully committed to these Artist Training Programmes too. Bank Julius Baer has been an enthusiastic supporter of the Festival’s Artist Training Programmes since 2010, and, since 2016 has been a Principal Festival Sponsor. Julius Baer shares the Verbier Festival’s commitment to future generations through the development of young talents. This year, in addition to its tremendous financial support—including the underwriting of daily lunches for Academy musicians—Julius Baer will, for a second year, lead a ‘basics of financial management’ seminar for Academy and Orchestra musicians and, for the first time, will follow one young musician on his or her transformative journey as part of the Academy through a documentary mini-series. The Neva Foundation, based in Geneva, is a long-time supporter of the Festival and since 2016 has been a Principal Festival Sponsor. 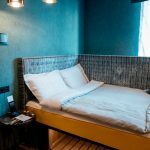 The Foundation fosters cultural exchanges and the outreach of Russian culture through projects facilitating transmission and sharing, such as the exchange between great masters and young talents offered at the Verbier Festival. This year, the Neva Foundation will partially offset tuition costs and the entirety of travel expenses for 17 young Russian musicians accepted to the VFA and the VFJO. 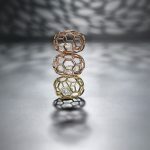 Two ‘Neva Artists of Promise’ will also receive support from the Neva Foundation to attend a week of the Festival in order to inspire them to be part of the Academy in the future. 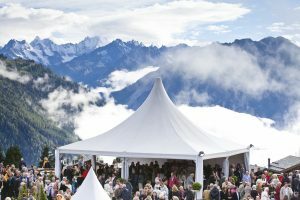 The Verbier Festival is a classical music festival that encourages encounters and sharing between great musicians and young aspiring artists from around the world. It is committed to excellence in music education through its highlyrespected artist training programmes. 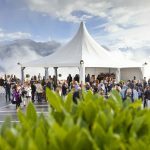 The 26th edition of the Verbier Festival takes place 18 July to 3 August 2019 in Verbier (Switzerland) with the support of the Neva Foundation Bank Julius Baer. I am a fashion stylist with over 14 years experience in the fashion & luxury industry.